Eloy Garcia manages the Alliance Program at the University of Texas at San Antonio Center for Government Contracting. The Alliance Program works to increase disadvantaged-owned business participation in the highway construction industry and provides Disadvantaged Business Enterprises (DBEs) with firm specific training and guidance to help them become competitive within the heavy highway or construction marketplace. The program also prepares DBEs to move into non-traditional areas of work and to compete in the marketplace outside the DBE program by providing networking opportunities; project matching assistance between subcontractors and primes; and access to training in the areas of business development, business management, and construction management. Eloy provides bilingual counseling (in English and Spanish) to small business owners to assist in their success with TxDOT contracts. Eloy possesses over 20 years of senior level professional management and government contracting expertise, having performed a broad range of duties supervising the procurement of supplies/equipment; planning, coordinating, and supervising various budget activities involving procurement law; and developing contract compliance requirements for the acquisition of services, leases, construction, and commodities for the Department of Defense, Social Security Administration, United States Department of Agriculture, and Texas A&M AgriLife Extension Service. 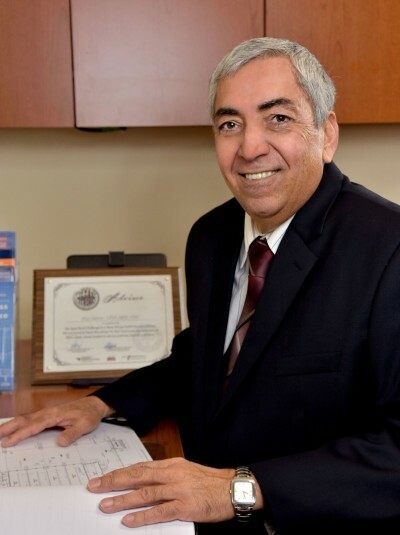 Eloy graduated with honors while earning his Master of Arts degree from Webster University, majoring in Procurement (Contracts) and Acquisition Management.